The run will take you out through the rural areas on a 50:50 grass & tarmac out and back 5km run. . Transition will be located on the playing fields. 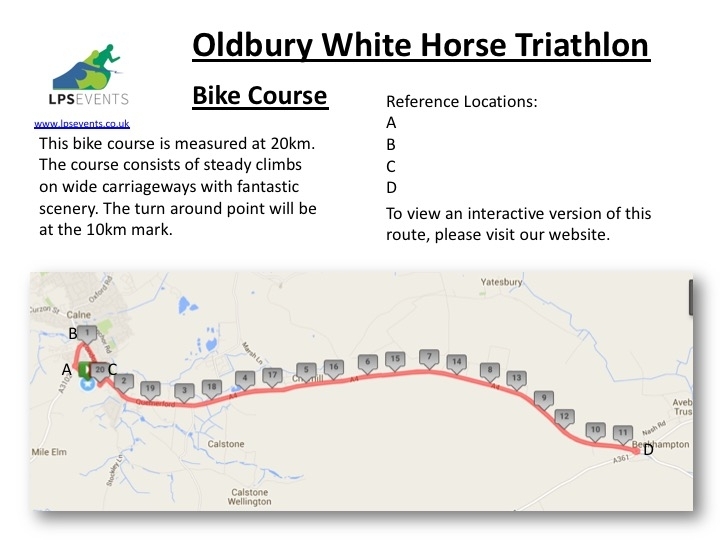 The cycle route is an out and back 20km route which takes a steady climb out past Oldbury (Cherhill) White Horse with some fantastic scenery. You will come back into transition where you can quick change your shoes and drop your bike off, before heading on a 50:50 grass & tarmac out and back 5km run. As you come back into the grounds, you will finish on the spectator friendly cricket strip. You will be able to register for the event and pick up any race numbers before your start time. You will be required to show photographic identification or your confirmation email to verify whom you are when you register on the day. 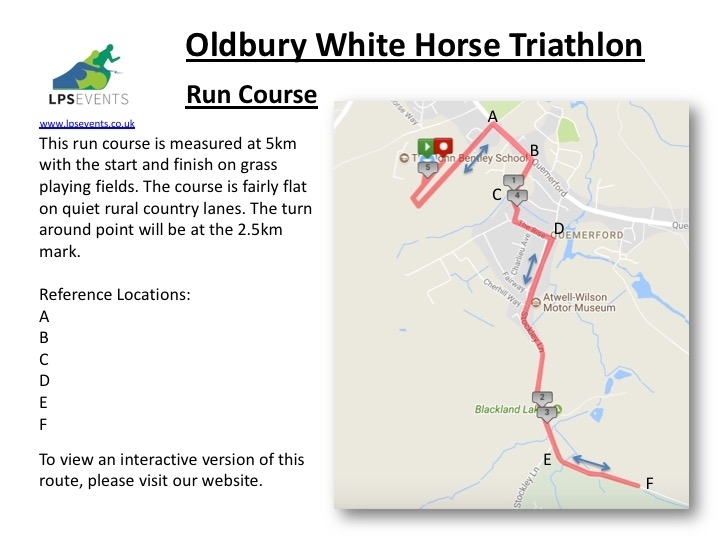 Race registration will be open between 09:00 and 13:00 on the day. All cycle racking is to take place on the day of the event. Only competitors will be allowed in transition and on poolside. If you are late you will not be able to race. Winners trophies on the day will be awarded to the following; 1st, 2nd & 3rd male and 1st, 2nd & 3rd female overall. 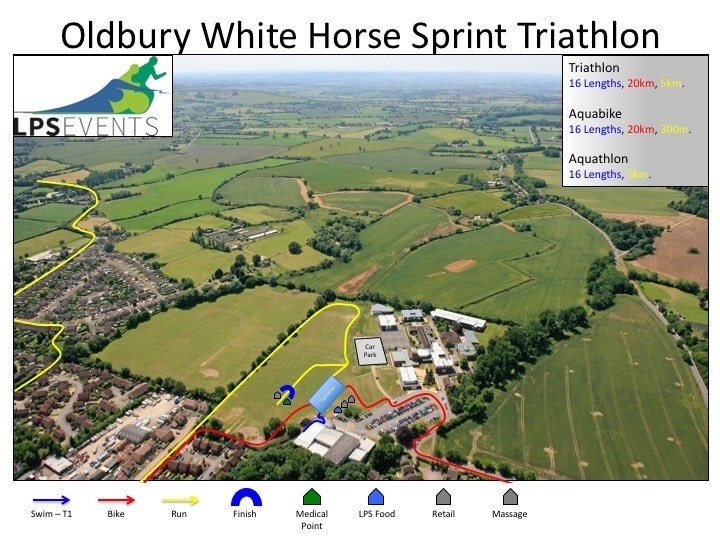 Sprint Tri, Sprint Triathlon, Tri Events, Triathlon Events, Triathlon Event, Tri Star Tri, Tri Star Triathlon, Tri Star, Tri Stars, Triathlons, Triathlon, Wiltshire, Calne Triathlon, Calne Leisure Centre, Triathlon England, Duathlon.